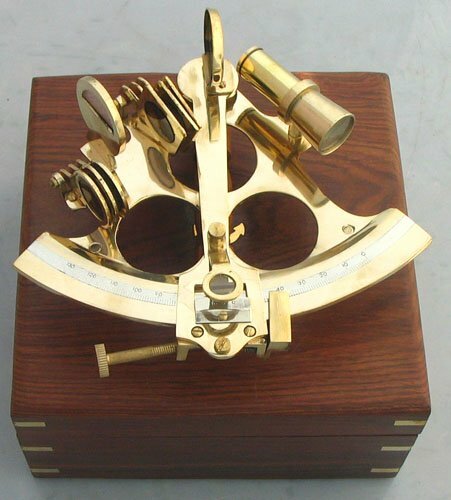 Sextants were first used to assist ship navigation in the late 1700s. This beautiful display sextant is approximately 8" wide and comes with its own latching nautical wood box. The sextant includes a moveable radial arm, telescope, mirror, colored light filters, and handle. This display sextant will be a lovely addition to any nautical collection.